Flood watches and warnings continue for rivers in our area. In addition to flooding winding down from last week, new waves of flooding are expected later this week. Minor to moderate flooding is forecast. 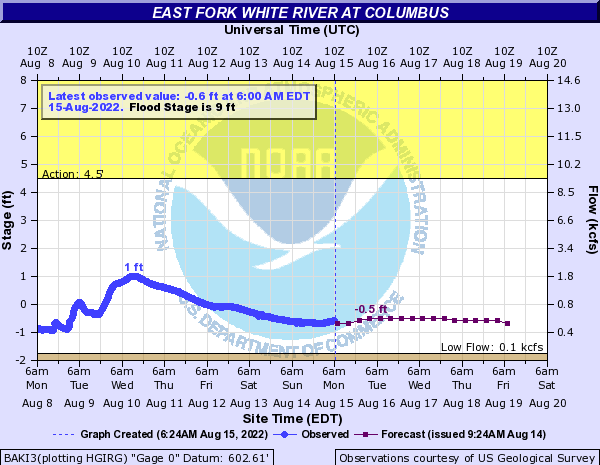 In Columbus, East Fork White River crested Friday night in the moderate flood stage and is now back to normal levels. It is forecast to rise up again to near the minor flood stage by Thursday. Driftwood and Flat Rock rivers are back to normal levels but are expected to go back into the minor flood stage later this week. Bartholomew County highway department says that County Road 675W is closed until further notice between Baker Hollow and State Rd 46, due to flood damage. 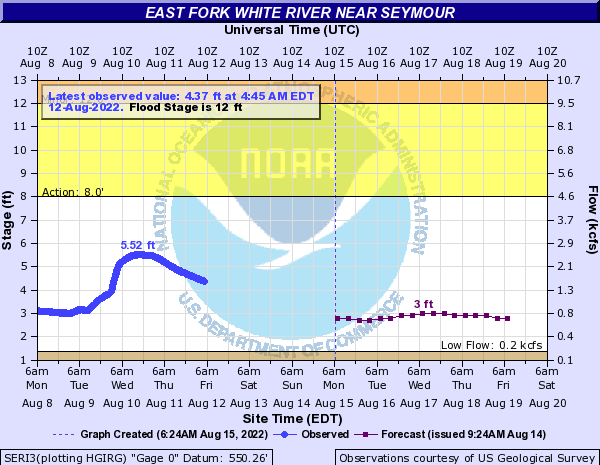 East Fork White River in Seymour crested Friday night just inches below the major flood stage and is now having minor flooding. The river is expected to crest again on Thursday in the minor flood stage.